External solid state drives are nothing new but new boundaries are being passed for speed and size. 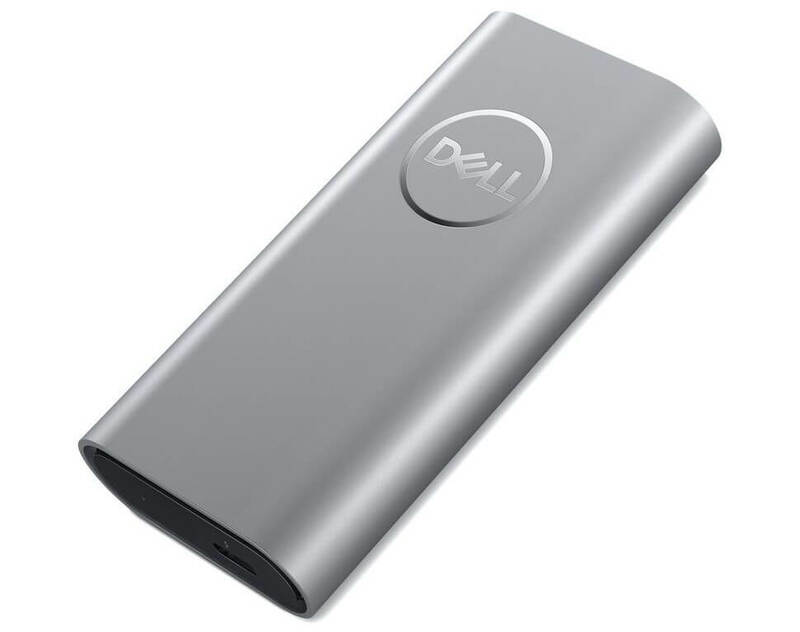 Dell has announced the Portable Thunderbolt 3 SSD which is not much larger than a standard flash drive. Available in 500GB or 1TB configurations, Dell has built what it calls the world's most compact storage device to date. Both capacities measure 16mm in thickness (just like Dell's XPS 15 2-in-1 laptop) and will not block adjacent ports on many devices. Transfer speeds are expected to be up to 2,650 MB/s, placing these drives right on par with internal NVMe SSDs. The storage device is said to use exactly the same NAND memory that Dell uses for performance drives in laptops. As with all new tech that pushes the limits of what is possible, pricing is not for the budget-conscious. The 500GB model will retail for $439 and the 1TB model will set you back $799. Considering the uniqueness and performance, there may be power users willing to sacrifice their wallets to save time moving files around. Enterprises where employee time is valuable may find it worth the upfront investment to reduce wasted productivity. Competing drives are currently limited to USB 3.1 transfer speeds, capping file transfers to 10Gbps or 1.25 GB/s. Since Dell has chosen to go with Thunderbolt 3, there should be absolutely no concern regarding bottlenecking with max transfer speeds limited only by the NAND and memory controller used. Dell's new Portable Thunderbolt 3 SSD will be available in either capacity worldwide beginning February 28, 2018.